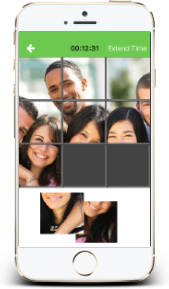 The system create puzzle pieces from the image or photo and presets it upon user’s request. 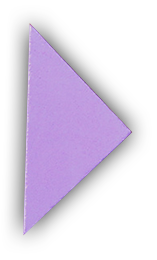 he ability to utilize moving or changing puzzle images can provide increased entertainment, education, and interaction, among other such aspects. In addition the fact that the image is presented as a challenge puzzle increases the entertainment aspect and creates a community of players sharing the same puzzle passion. 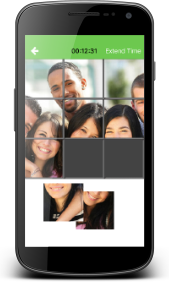 The program turns uploaded images turn into a puzzle. Any of the Friends (In the friend’s area) or all (In the public area) will be able to see the image for a period of thirty (30) seconds. The viewer has to assemble the image within this time period. In ANY case of unsuccessful attempt to assemble the image, it becomes unavailable. The image will become available again for retry attempt after one (1) hour. The system randomly launches Surprise Contest pictures using the player's posted images. Each contest's challenge level is randomly selected. You'll get 500 points for assembling the puzzle on time. Find friends to share your mutual puzzle passion, exchange notes about contests, compete against your friends solving puzzles and enjoy hours of fun of this game. All players have access to the ALL (PUBLIC) area. Upon a user’s request to view an image the system turns the image into puzzle and presents it to the user. The user has thirty seconds to assemble the image. If an unsuccessful puzzle assembly occurs the image disappears. Upon successful image puzzle assembly the user gets points. Only your approved friends have access to the Friends (Friends) area. Same here, upon a user’s request to view an image the system turns the image into puzzle and presents it to the user. 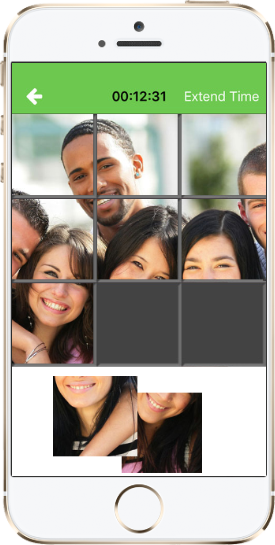 PuzPix is a puzzle challenge app software to create hours of puzzle challenges fun and social community. The software purpose is to create puzzle challenges within friends and therefore provide hours of recreational entertainment for all ages audience.